Women carrying oversized clutches always look so chic, but I hate the idea of not being able to have both hands free! Maybe I should try it out anyway - who knows if it would actually annoy me or not. 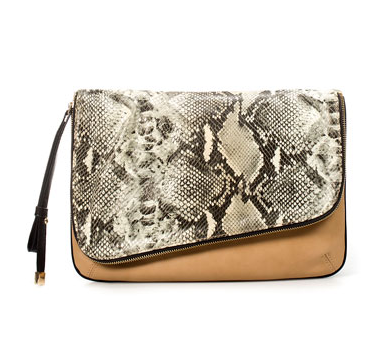 This clutch is certainly a reason to test out the waters! Buy at Zara for $80.